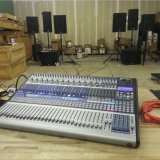 How much is it to upgrade an existing Studio One 1, or Studio One 2 registration to Studio One 3? How do I upgrade to Producer or Professional if I already have Studio One 2 Artist? New AUDIOBOX shipped with OLD Studio One 2 Artist. Is there a free upgrade?